“After full consideration of this weekend’s attacks of terror on innocent citizens in Paris, I will oppose any attempt to relocate Syrian refugees to Alabama through the U.S. Refugee Admissions Program. As your Governor, I will not stand complicit to a policy that places the citizens of Alabama in harm’s way,” stated Gov. Bentley. How very Christian of him. In Texas, Gov. Abbot has written a letter to President Barack Obama “informing him that the State of Texas will not accept any refugees from Syria in the wake of the deadly terrorist attack in Paris.” He further implores the President to block Syrian refugees from the country entirely. As of now, Michigan governor Rick Snyder has suspended all efforts to place Syrian refugees within the state. 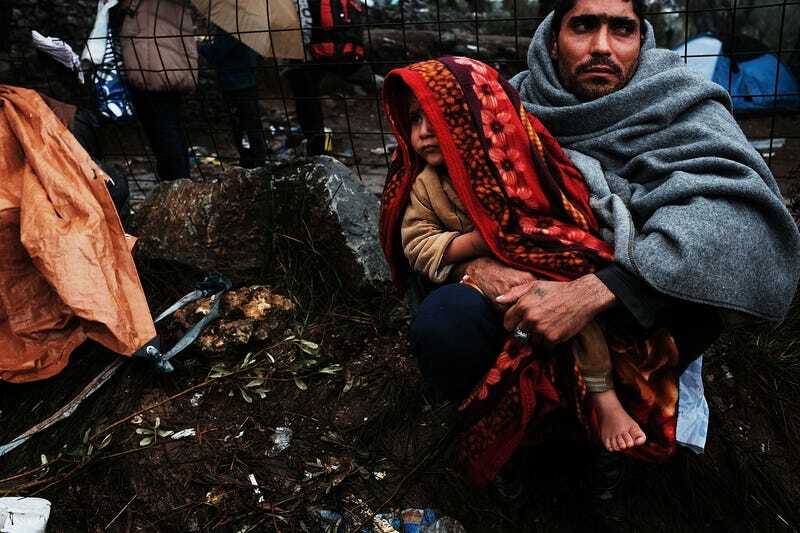 Refugees have been fleeing Syria in droves since civil war broke out in 2011. In that time, the Islamic State (now the Islamic State of Iraq and Syria—a.k.a. “ISIS”) has taken over huge portions of the country. According to the U.N. Refugee Agency, “more than 12.2 million innocent people are in need of humanitarian assistance.” Nearly half the refugees are children. But—as Gov. Abbott points out—any one of the terrified, homeless families who’ve risked their lives fleeing their war-torn Syria could be connected to terrorism. Sorry, kids. Looks like you’re on your own. For those looking to be more helpful and charitable than these particular governors, you can donate to the U.N. Refugee Agency here. Worth noting, halting refugee resettlement is NOT within a governor’s rights. As per the constitution, President Obama and the federal government dictate immigration policy, not state governments.